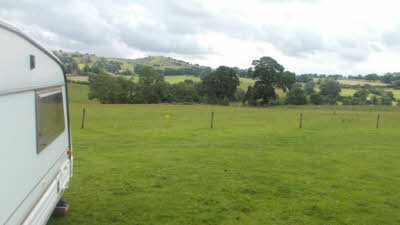 A field with water taps and waste facilities, no amenities, no showers, no hook ups, however peace, quiet and beautiful views. Rarely full except for birds, rabbits and the occassional fox and badger. A quaint village pub within walking distance, overlooking Carsington Water and it's attractions. 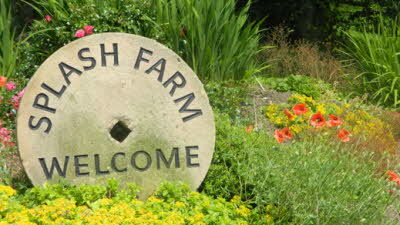 Further afield Ashbourne, Wirksworth and Bakewell - cafes and antiques. 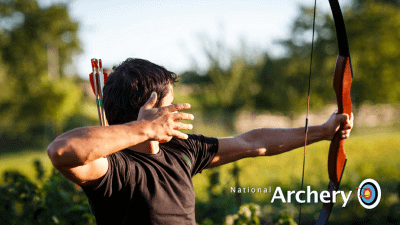 Also Chatsworth, Haddon Hall and a little further Hardwick Hall, and the Peak District is only five miles away. 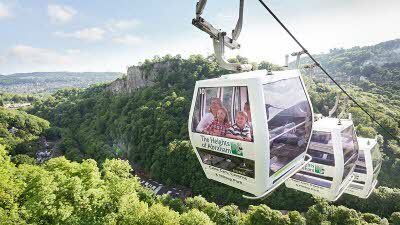 A unique visitor experience overlooking Matlock Bath and picturesque Derwent Valley. At the summit you have free access to guided tours of two famous Show Caverns, exhibitions including Fossil Factory, Rock Shop, Woodland Walks, two large outdoor play areas and Victorian Prospect Tower. Parking at Matlock Bath Station car park. A great day out for all the family! Vintage tram rides, exhibitions, woodland walk, children's play areas, tearooms, pub and shops plus special events held throughout the year. 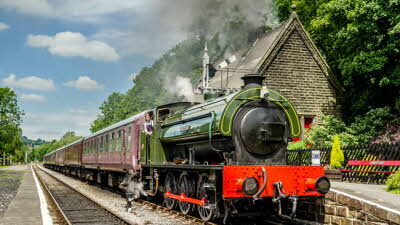 Experience the thrill of steam and diesel travel on a heritage railway between Matlock and Rowsley South Station. 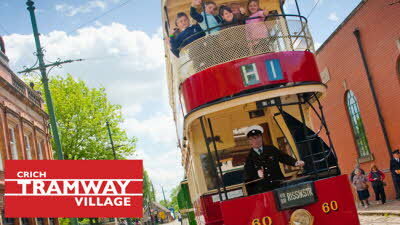 Enjoy delightful scenery, riverside walks, picnic area, shops, Café and museum. Shhhh, don't tell anyone about this rural gem. For anyone wanting almost flat ground and a generally pristine site this site is definitely not for them. 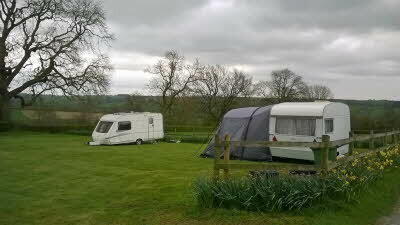 However for those of us who enjoy roughing it a bit then this site is an absolute gem!! 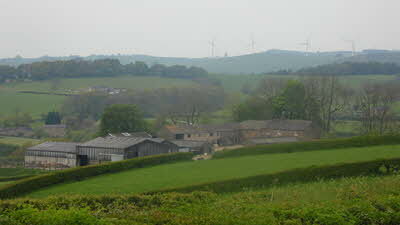 The views towards and over Carsington Water are outstanding as are those throughout an almost a 360 degree sweep. The facilities are all basic but they ticked all of my boxes, however some less fit people might find it a bit difficult lifting their toilet waste tanks to slightly above shoulder height to empty it. 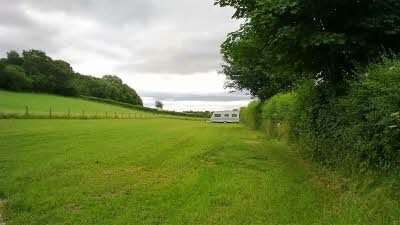 The surrounding roads are all narrow as is also the entrance, as this is the case I very much doubt any long or twin axle caravans would be able to negotiate the very tight and narrow entrance, let alone the problems they would definitely experience with grounding. A short walk away is the village of Kirk Ireton where a delightful village shop can be found as well as the utterly unique The Barley Mow Inn of which and about which, I vouch there are many other so utterly unique and generally quintessential ale houses to be found anywhere in the UK! This is a very basic pub that has remained totally unchanged since the middle ages and where superb ales are served poured from a jug by the utterly delightful land lady who is patently of very advance years. Walking from the site is good both along the virtually deserted roads as well as along numerous footpaths that can be found in the area. We will be back to both this site as well as The Barley Mow.